Complete a short survey by Aug. 13, 2017 to provide input. The City of Kent is asking for community input on street trees and how they impact quality of life, crime, air quality and other factors. How did trees and parks factor into your choice of where to live? Does the presence of street trees increase or decrease minor crimes in neighborhoods? Do street trees improve air quality to make a measurable difference in our health? Those are just some of the questions city officials hope residents will answer using an online survey. 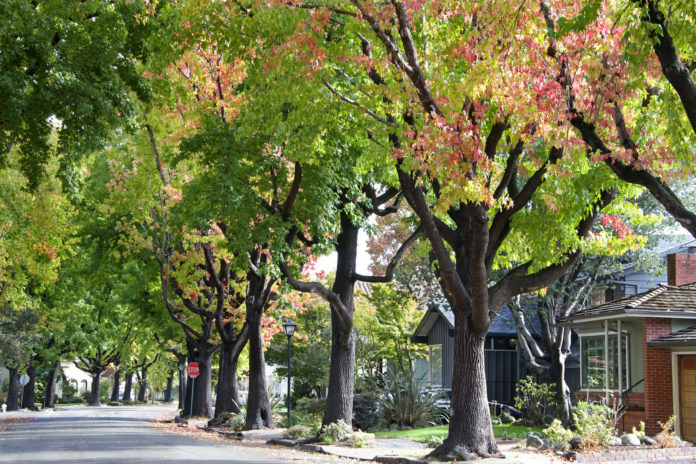 According to city planner Hayley Bonsteel, understanding residents’ attitudes about trees is important to several city efforts passed by the City Council, including the Complete Streets ordinance passed last July. “The idea behind Complete Streets is that they’re safe, attractive places for people. On busy roads, they include sidewalks and bicycle routes. On neighborhood streets, they might feature shade trees and lower traffic speeds. As public spaces, complete streets are inviting and accessible places to walk, bike, or ride for people of all ages and abilities,” Bonsteel said. Since the trees along both James Street and Central Avenue had to be removed after their roots damaged the sidewalks, the city has been researching other jurisdictions’ street tree programs to see what lessons might be learned. “We were terribly disappointed the trees needed to be removed. Before we get too far into updating our street tree program, we want to make sure we’re being responsive to our particular community’s needs,” Bonsteel said. Residents are asked to complete the short survey at KentWA.gov/Trees before August 13, 2017.